JOIN US FOR THE MARICI FELLOWSHIP CARING BY SHARING BIG WINTER EVENT as we come together as a community to put the Dharma into practice for the benefit of all beings. Preparations for the Caring By Sharing Big Winter Event begin Friday, February 1 at 6:00pm at Sakya Monastery. 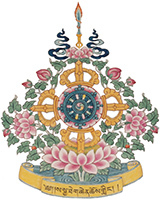 Main Event begins Saturday, February 2 at 9:00am in the Sakya Monastery Shrine Room. H.E. Avikrita Rinpoche will lead the meeting and prayers. Sponsorships are available for bags, food kits, hand warmers and more.